Currently, five out of six Waabnoong Bemjiwang Association of First Nations (WBAFN) communities have water treatment plants and distribution systems. Each of the five has one operator that meets provincial regulations for plant operations and in some cases they are building capacity for backup coverage of their main operator. Of the five communities, there are two that have wastewater plants. To address these and other issues, the WBAFN is proposing a solution that begins the process towards developing a Hub to ensure that its water and wastewater treatment plants are consistently managed, operated and maintained in an effective, professional and responsible manner. The goal is to empower our communities and operating teams with the technology and training for remote water and wastewater monitoring and asset maintenance capacity using OCWA’s technology and expertise in the areas of field mentoring and best practices. The project is proposed in two phases. This proposal addresses the Phase 1 Pilot Project, with some reference to Phase 2 for context and long-term goals. The purpose of Phase 1 of the project is to create a Hub and install long-term water and wastewater monitoring and maintenance capacity at two First Nations communities within the WBAFN: Nipissing and Wasauksing. All technology and accompanying training will be provided by the Ontario Clean Water Agency (OCWA). What are the assets in the water and wastewater systems? What is the likelihood and consequence of failure? How should the assets be maintained? OCWA’s CMMS will provide a standardized platform for managing water and wastewater assets. It contains a comprehensive history of the work, condition, cost, criticality and life expectancy of the equipment and tracks, schedules and documents all work related to infrastructure operations and maintenance. It will provide WBAFN with the ability to analyze more than just maintenance-related activities but also operational duties, administrative tasks and even project-based activities. Over a period of time, the program will focus on critical assets, analyze how data is collected, assign work orders to prioritized assets and enable better updates for financial forecasting. It will assist the Band leadership and staff to understand in knowing which assets are under their care and control, and help to ensure that all assets are being maintained in the best possible way. The use of data from CMMS can be used for Key Performance Indicators and level of service indicators, both important items in the development of asset management plans. There are also significant financial planning benefits that may be developed with the use of CMMS data. Water operators from each of the six WBAFN First Nations communities will form an operational support group called the Waabnoong Bemjiwang Operation Networking Advisory Group (WBONAG) to oversee the project and process with the long-term goal to create a Hub. The WBONAG will share resources (human, equipment, information) people and equipment for addressing issues of common concern regarding water monitoring and maintenance. The opportunities for sharing include bulk purchase opportunities, equipment sharing, operator training and back-up, collection, distribution and treatment support. OCWA will install and provide support during the trial for the remote monitoring and asset management software and will install the software (panel remote monitoring) at the Nipissing First Nations Water Treatment Plant and Wasauksing First Nations Water Treatment Plant. In addition, OCWA’s software program (IBM Maximo) will address the management/maintenance of important water/wastewater assets. OCWA will provide the remote monitoring and asset management software training. The WBONAG will oversee and assist with the development of procedures and protocols for asset management software monitoring, health and safety, legislation, roles and responsibilities, procurement and resource sharing including operator support. If approved, a more detailed work plan can be provided. See Budget for addressing the above steps. Using OCWA’s system, a cloud-based remote monitoring system for water and wastewater systems for Wasauksing First Nation and Nipissing First Nation will be installed and commissioned through the guidance of WBAFN. OCWA will provide a “pilot” program consisting of two instrumentation panels to be installed and used for monitoring/controlling at the two facilities. Set-up, orientation and additional training will also be provided by OCWA. Access will be provided to WBAFN and host communities. The OCWA Work Management System (WMS) has been developed specifically for water and wastewater facilities. WMS provides the framework for managing and planning work such as maintenance and operational activities and is the framework supported within CMMS. OCWA’s WMS is an asset protection program that assesses equipment according to its financial and service reliability. It is risk-based and evaluates the life expectancy and required maintenance for a piece of equipment. OCWA will provide a “pilot” program for WBAFN that will consist of setup, orientation and assistance in the development of a maintenance program to be used for the two First Nations Communities during Phase 1. Access will be provided to WBAFN and host communities. The WBONAG will hold monthly meetings and communicate regularly with OCWA staff to ensure the project is progressing well, on schedule and within budget. The meetings will be held in Sudbury or at various locations on a rotational basis (to provide operators the opportunity to visit other plants). OCWA’s Training division will provide WBAFN operators with the legislated hours of training required for water and wastewater operators under Regulations 128/04 and 129/04. They will identify emerging training needs and coordinate, develop and deliver multi-purpose training to address WBAFN’s individual and Hub needs while complying with legislative training requirements. The training courses will be continually updated and many will be kept current in an on-line e-learning format. OCWA has been providing training to its employees and to external participants across Ontario since 1996. OCWA is registered with the Ontario Water and Wastewater Certifications Office and provides Director-approved training courses. We welcome Mike Faries to our staff at Waabnoong Bemjiwang Tribal Council as a Data Technician. Mike has a background in Civil Engineering and has worked on many First Nations in Northern Ontario. Mike spent the last three and a half years working as the Land Protection Planner for Moose Cree First Nation. His work in the Lands and Resources Department involved developing a work plan for Moose Cree Homelands, developing land use designations and policies. Prior to this, Mike worked over 11 years as a Capital Management Officer at Indigenous and Northern Affairs Canada (INAC) in Sudbury. 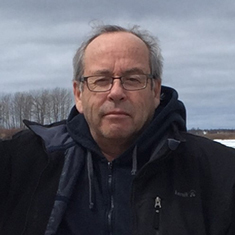 His position at INAC involved assisting in the development of water/wastewater, land development projects on First Nations within Northeastern Ontario. Prior to working at INAC Mike worked for Whitefish Lake First Nation as a Project Manager, a consulting engineering firm, as well as Moose Cree First Nation from 1993-1996, where he held the title of Director of Capital, as well as Director of Housing for a short period of time. Mike graduated from Conestoga College in 1985 with a diploma in Civil Engineering Technology and also graduated in 2000 with a diploma in Native Lands Management from Cambrian College.